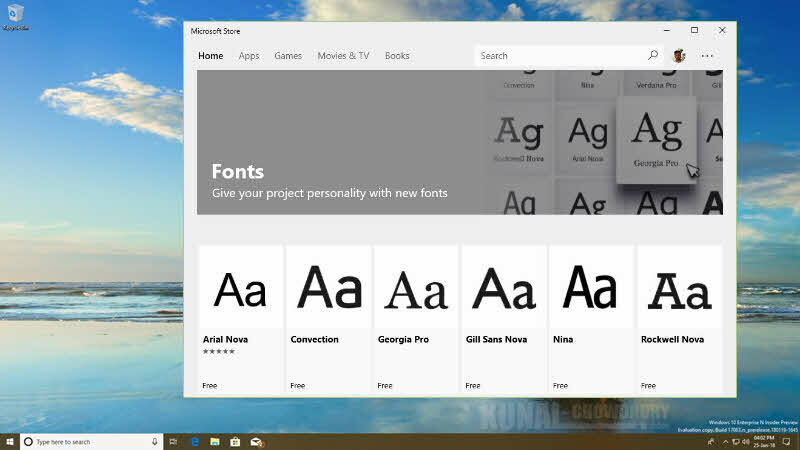 Along with the Windows 10 preview build 17083 for PC, Microsoft previewed a new Fonts Settings Page to the insiders in the Fast ring to grab early feedback before the next major public update build. If you are a Windows Insider, you can try this now. In this post, we will discuss what's new coming with the Fonts settings page and from where to download new fonts in your system. 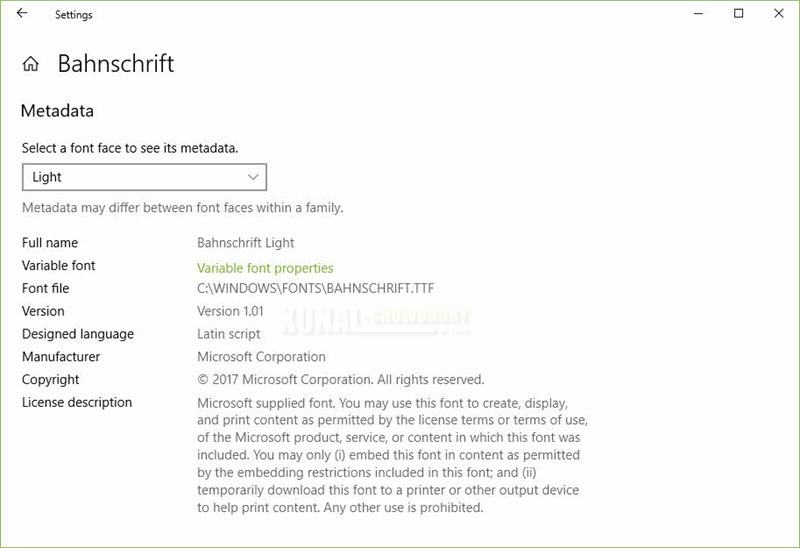 In the latest Windows 10 Insiders preview build 17083, a new Fonts setting page has been introduced by Microsoft, which can be accessible from the Settings app. This brings a new way to manage all the installed fonts in your system. 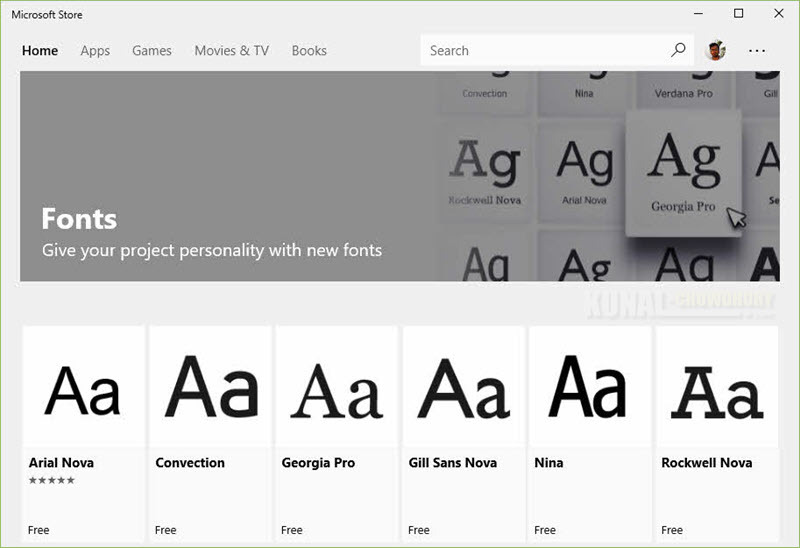 Apart from that, you can also download and installed new fonts from the Microsoft Store. Click on any of the font from the list to open its properties. From this page, you will be able to uninstall and/or preview the font based on different sizes. Scrolling down this page will list the Metadata of the selected font. The metadata may differ between font faces within a font family. 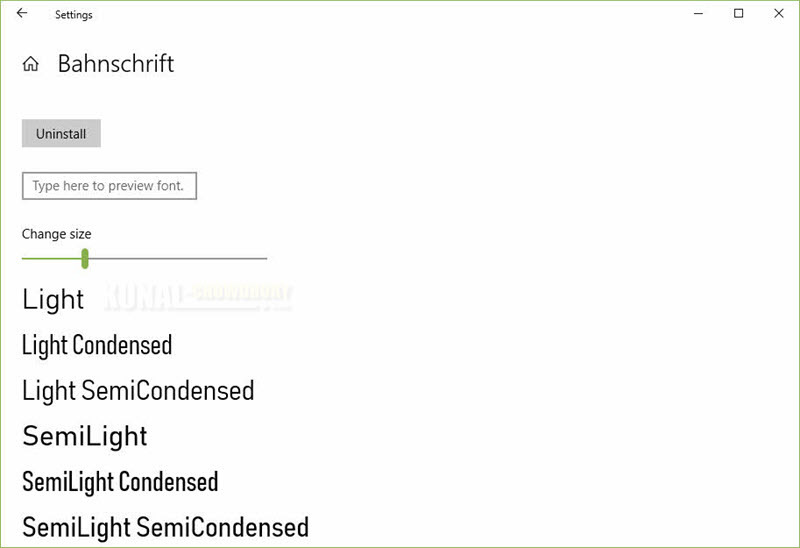 If the selected font is of type variable font, you can click on the Variable font properties link to open its details. From this screen, you can view axis details and preview different font variations. A single variable font can behave like an entire family of fonts. Each parameter is an axis of variation, allowing for infinite design variations when changed. 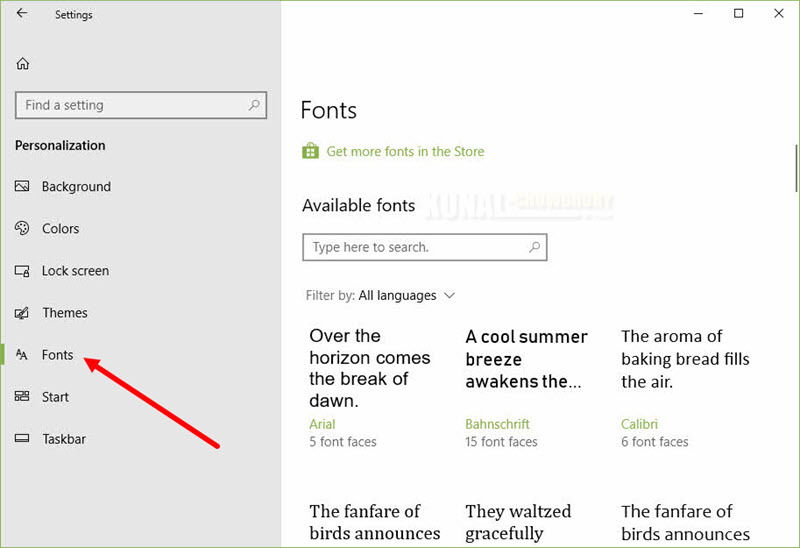 This will open the Microsoft Store app, and navigate you to the Fonts page. Pick the one that you want to install on your system and download it. That's all about the Font settings page and the Font store. There might be new changes and features added in the final version of the next major update of Windows 10. As of now, it's way better than the old Fonts applet available in the Control Panel. The preview with the custom text as well as the variable properties page made it much more better and useful. What's your opinion on this? Do share your feedback with Microsoft and help them to make the ecosystem even more better! 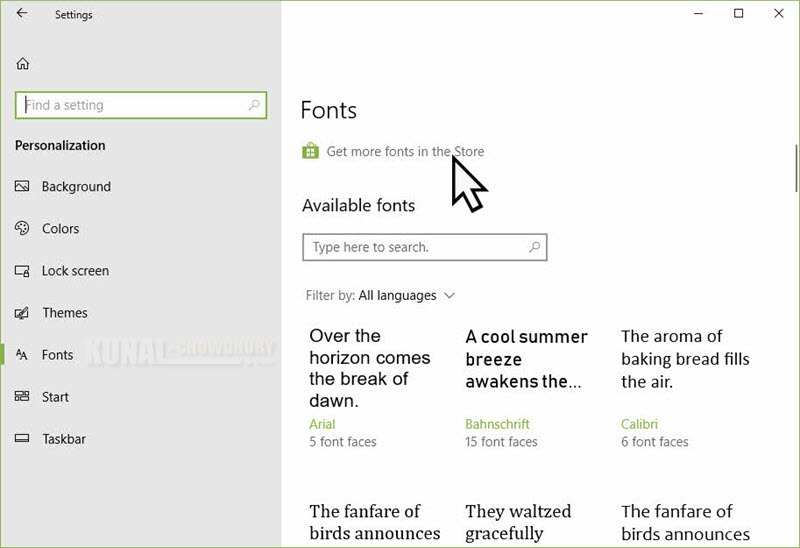 If you have come this far, it means that you liked what you are reading (Windows 10 preview build 17083 brings a new 'Fonts' settings page).